Gain incredible superpowers with the help of your computer! 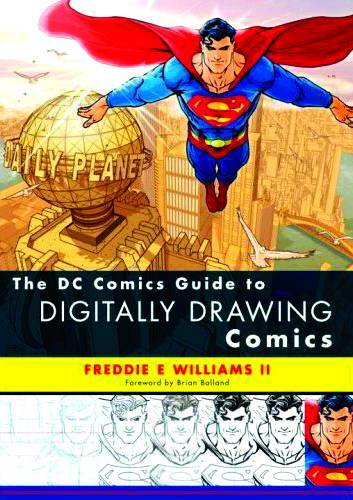 Give up pencil, pen, and paper and start drawing dynamic, exciting comics art entirely on the computer. 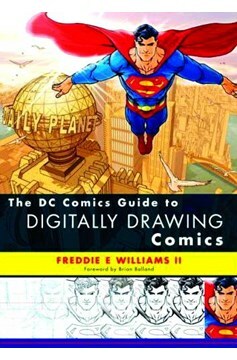 Freddie E Williams II, one of DC Comics' hottest artists, gives step-by-step directions, guiding readers through the digital process, from turning on the computer to finishing a digital file of fully inked comic art, ready for print. Creating a template, sketching on the computer, penciling, and finally inking digitally are all covered in depth..